Euronext is the leading pan-European exchange in the Eurozone, covering Belgium, France, Ireland, The Netherlands, Portugal and the UK. With 1,300 listed issuers worth €3.7 trillion in market capitalisation as of end March 2018, Euronext is an unmatched blue chip franchise that has 25 issuers in the Morningstar® Eurozone 50 Index℠ and a strong diverse domestic and international client base. 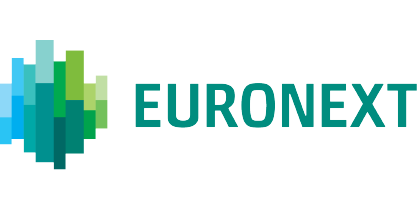 Euronext operates regulated and transparent equity and derivatives markets and is the largest centre for debt and funds listings in the world. Its total product offering includes Equities, Exchange Traded Funds, Warrants & Certificates, Bonds, Derivatives, Commodities and Indices. Euronext also leverages its expertise in running markets by providing technology and managed services to third parties. In addition to its main regulated market, Euronext also operates Euronext GrowthTM and Euronext AccessTM, simplifying access to listing for SMEs. ​TVM Capital Life Science is a group of independent investment advisories and fund managers for Venture Capital funds, investing into innovative biotech, pharmaceutical, and medtech companies with teams based in Munich and Montreal. Since 1984, TVM Capital Life Science has invested in more than 140 life science companies in Europe, Canada and the United States, currently managing in excess of US$1.1 billion from more than 50 investors.